Dimensions: 6 ft. 3 in. x 9 ft. 7 in. 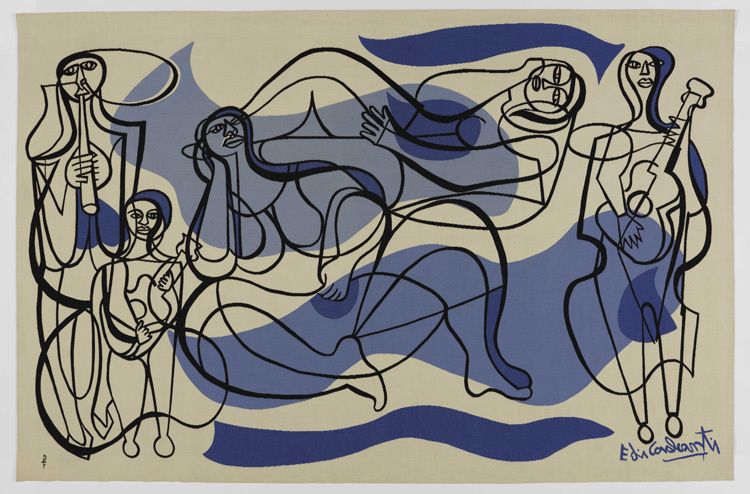 After a two year stint in Paris where he mingled with Picasso, Matisse, and Leger, Di Cavalcanti returned to Rio de Janeiro to develop a uniquely Brazilian influenced style. This style blended abstract European technique with a realistic portrayal of the people and landscape of his native land. 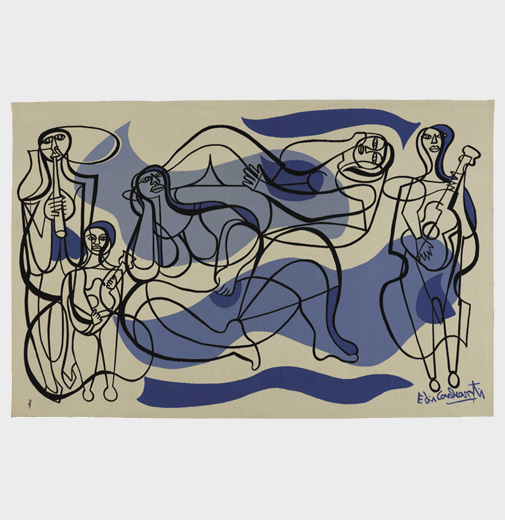 This tapestry, “Samba,” exemplifies the artist’s obsession with the female body with a truly personal Latin exuberance and expression, while interpreting the pictorial forms developed by Picasso.